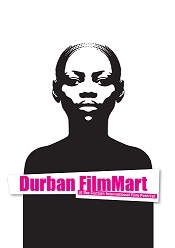 The Durban FilmMart (DFM) has opened submissions for projects for the 7th edition, which will take place next year. It is important to note that the deadline for submissions has been shifted earlier to December 14, 2015 to allow for the selection committee to have more time to assess projects, and for more time to create opportunities for marketing and promotion of the projects and film-makers at the DFM. The programme is open to full length feature and documentary films with Africans in key creative roles (writers, directors and producers) that are looking for co-producers, financiers, sales agents and funders. A selection committee will review all submissions for consideration, and will select 10 fiction feature and 10 documentary feature projects that are in development to participate. African filmmakers, from writers to directors, are encouraged to submit their projects by December 14, 2015.